A powerful layer 1 device. Distribute multicast data, dynamically patch ports together, replace 16 optical taps in a single rack unit. Connect multiple servers to uplink ports with a minimum of 39 ns of port to port latency. Perfect for ultra low latency order entry. 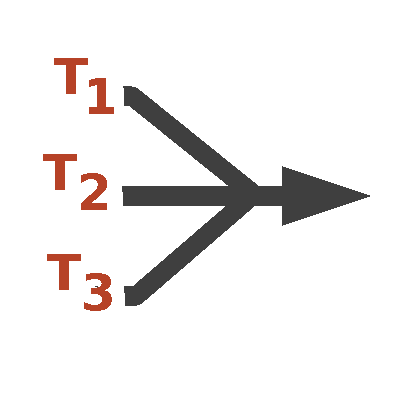 Switch packets at layer 2 with 95 ns latency. Features include IGMP, VLANs and some layer 3 operations. 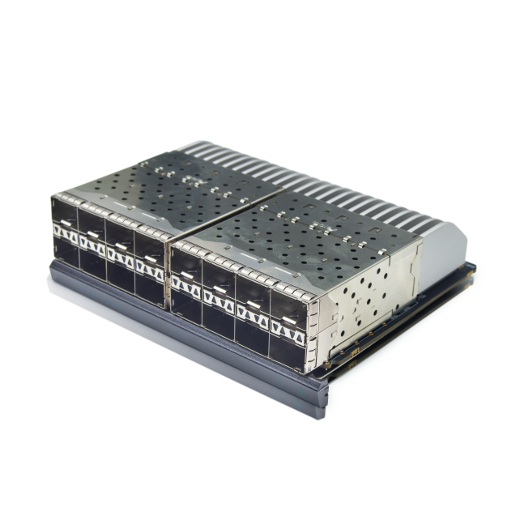 Tap and aggregate up to 40 ports, into 8x10Gbps uplinks. 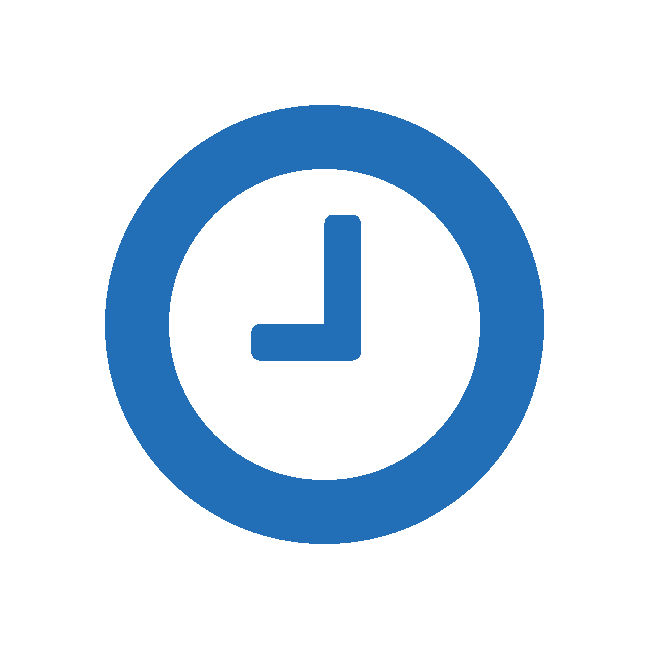 Timestamp to 0.1ns (100ps) resolution. 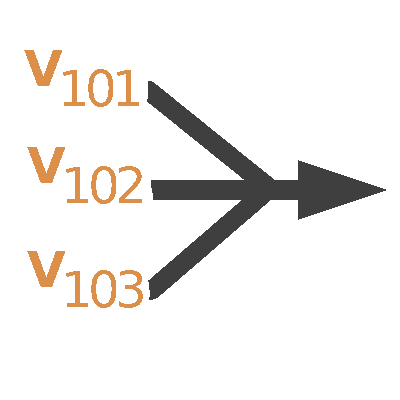 Aggregate up to 48 1Gbps and 10Gbps links with inline VLAN tagging and trunking. Useful for shared long distance, low latency networks. 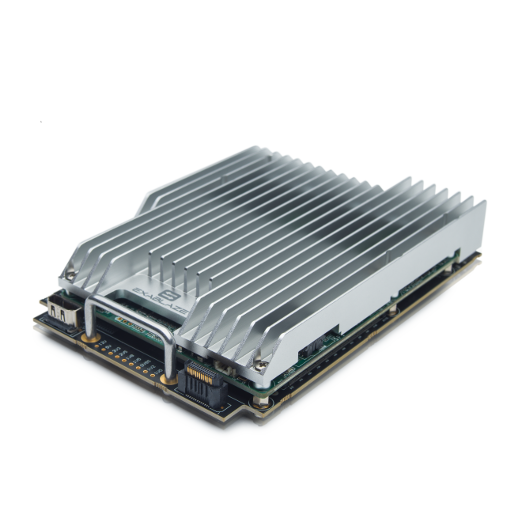 Deliver powerful network applications on this dual FPGA platform, designed for low latency and high performance. Know your switch. 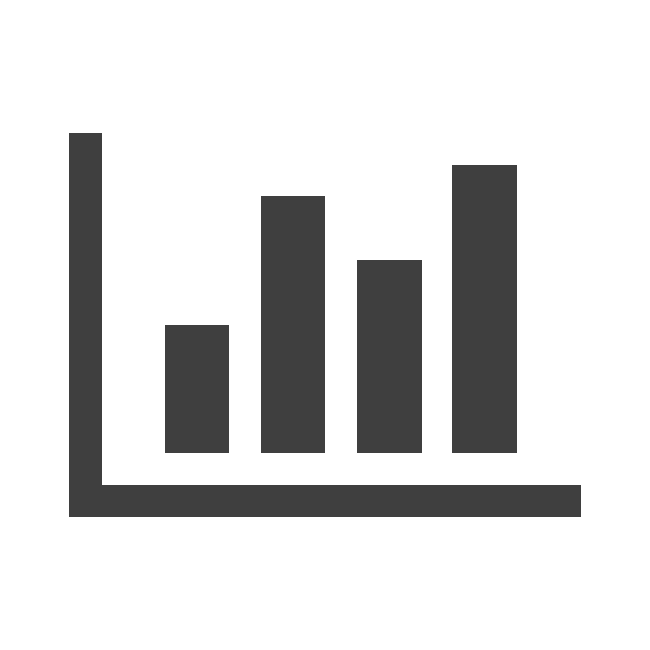 Full device logs are kept onboard and can be streamed to remote logging servers via rsyslog. Control your device. 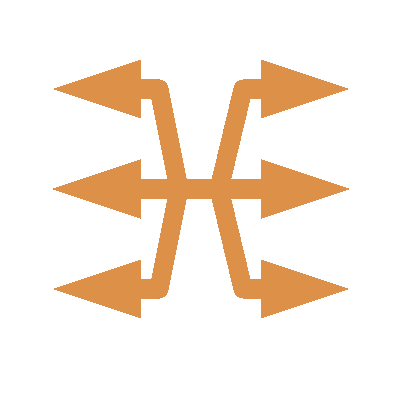 The ExaLINK Fusion JSON RPC API is a powerful and flexible way to automate and control your network of devices. It is easily available through most scripting languages. 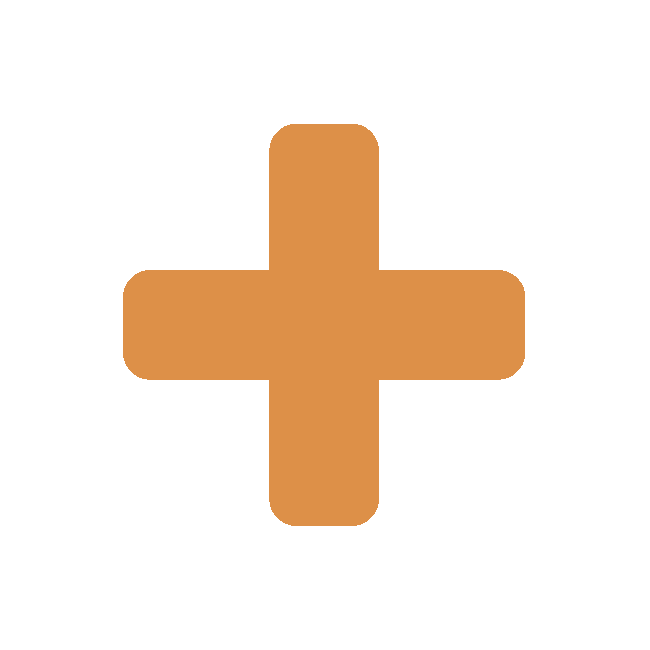 We provide extensive examples in Python. The ExaLINK Fusion is built around a modular architecture that scales with your network. Three line card bays provide the flexibility to grow connectivity, while two internal module bays allow the device to be upgraded with expanded functionality. Each SFP+ line card includes 16 ports, all of which have access to the <5 ns patching and fanout, 39 ns aggregation or 95 ns Layer 2+ switching functionality at 1/10Gbps. 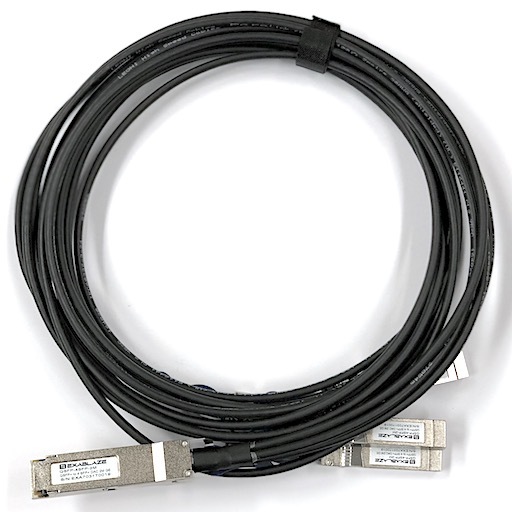 Each QSFP line card includes 4 ports supporting 4 lanes each. 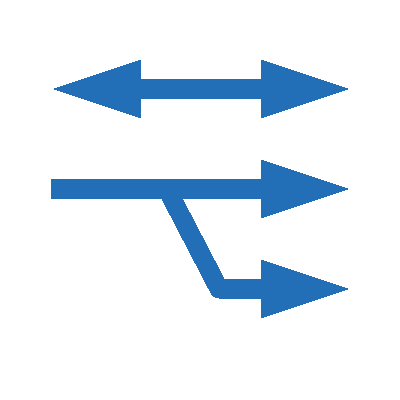 All ports/lanes have access to the 5 ns patching and fanout features at 1/10/40Gbps, and access to the 39 ns aggregation or 95 ns Layer 2+ switching functionality at 1/10Gbps. A second FPGA module can be added for custom application use. 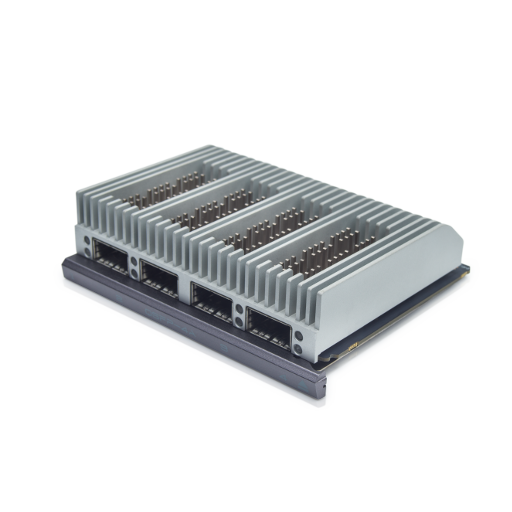 The FPGA features a large and powerful Xilinx Kintex Ultrascale KU115, SRAM and DRAM resources and bay to bay connectivity. The module is available standalone or combined with our comprehensive firmware development kit (FDK). An x86 internal module is also available for custom applications. 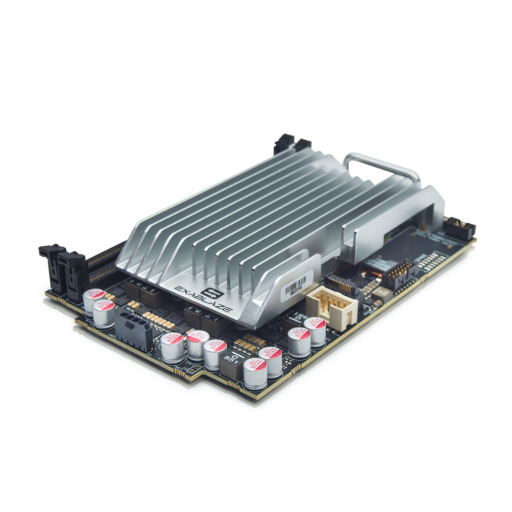 The module features an quad core Intel i7 Skylake processor with turbo boost up to 3.5Ghz, two mSata bays and one m.2 drive bay. The module also feature a complete ExaNIC X40 on board. ExaNIC network adapters are the lowest latency, most feature packed network interfaces on the market. 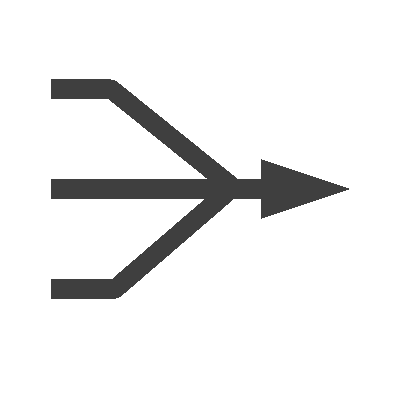 The ExaNIC X10 and ExaNIC X40 devices offer TCP/UDP latencies of under 1 microsecond. Meanwhile the ExaNIC HPT offers 0.25ns (250ps) resolution measurement and the ExaNIC GM is a GPS synchronized PTP grand master. 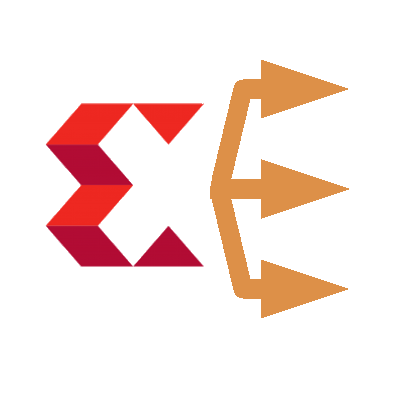 All ExaNIC devices operate with exasock, our free and open source software library, which provides ultra-low latency acceleration to unmodified applications. All ExaNICs are FPGA based. This makes them fast, flexible, and field upgradable. 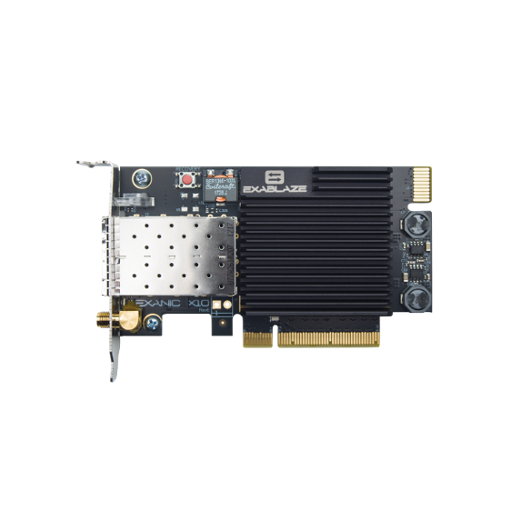 Exablaze support contract holders receive continuous FPGA firmware updates including performance improvements and bug fixes. Users can also implement custom network processing applications on many ExaNIC devices including the ExaNIC V5P . We supply an easy to use and comprehensive Firmware Development Kit (FDK) for these devices. 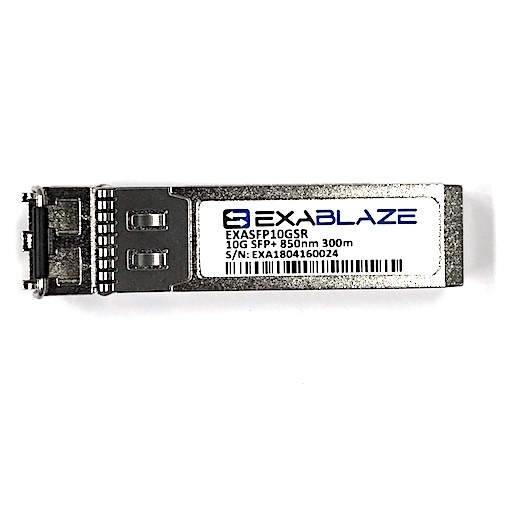 Exablaze supplies a high quality SFP+ and QSFP optical transceivers . Transceivers are available in short and long range variants for 1G, 10G and 40G speeds. Note: Exablaze does not require that customers use our branded transceivers. We try to remain compatible with all reasonable quality 3rd party SFP+/QSFP transceivers on the market. Exablaze supplies high quality direct attach (twinax) cables in a variety of lengths and connector options. We can provide SFP+ to SFP+, QSFP to QSFP, and QSFP to SFP+ breakout cables. Note: Exablaze does not require that customers use our branded twinax cables. We try to remain compatible with all reasonable quality 3rd party cables on the market. You can also speak to any one of our global network of resellers and distributors or contact us directly.